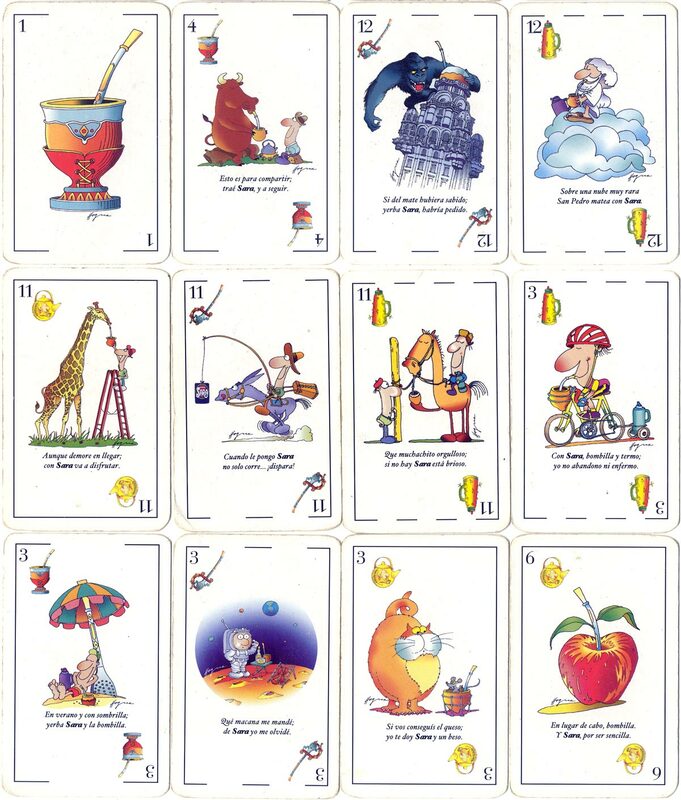 A humorous and imaginative pack of playing cards designed by Hogue on behalf of Carrau & Cia's Sara mate infusion. Mate is a traditional tea served in the Rio de la Plata and it is also a national drink of Argentina, Uruguay and Paraguay. It is drank from special gourds and using special drinking straws which can be seen illustrated in the cards as suit symbols, etc. 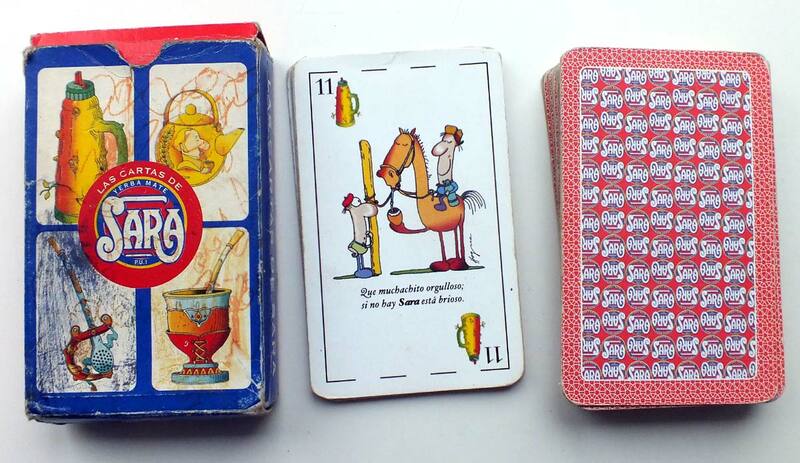 Above: Las Cartas de Sara (Yerba Mate) based on an idea by Diego Silva Pintos and illustrated by Hogue. Produced by Color/9, c.2003.